In 2017 – myself and my biggest squad to date reached new highs (and some lows which we turned into good learnings) and racked up more first time successes, more PBs at various distances across the board and started to add National Series podiums/AG victories to our list of achievements. Read on below for some of their own comments on how they felt our partnership worked out for them. 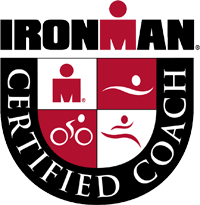 “I emailed Steve prior to purchasing the training plan and he responded quickly with really sensible advice based on my triathlon history and current training volume. Of course being an 45 going on 12 year old age grouper I ignored all sensible advice an purchased the only plan that gives me any remote, long shot of getting to Kona….I’ve just finished my first month of the base phase and despite pushing through a couple of those weird one-day training head-colds due to the increased volume, I’ve loved every minute so far. Having read and enjoyed Friel’s Training Bible I was still left with just a big empty spreadsheet and too many decisions to make for myself. I’m a normal bloke for god’s sake, tell me what to do or I’ll just sit and watch the Discovery Channel! Steve’s plan takes away all the science, mathematics and preparation that a triathlete with a full-time job just doesn’t have time for. Once the testing phase is done, each session is is concisely described, training zones set and drills presented via video links etc. where appropriate. For bike sessions I don’t need to know any more than I have a bike session today, once I fire up Zwift, some black-magic means Steve’s session is already there in front of me and ERG means I’m training at exactly the prescribed power throughout, brilliant! Moving sessions around the plan to fit in with other work commitments is easy and intuitive and for some reason I’m actually motivated to stretch for the first time in 25 years because it’s on the plan. Well I say stretch, think Uma Thurman in Kill Bill trying to wiggle her big toe, but hey, I’m trying. “I have seen many different types of leaders in my day – be that soldiers on the front line when I was serving with the United Nations Peacekeeping forces or business owners pulling their people through our recent economic turmoil – some bluff there way and some even falter but then there are those like Steve who just have it, who walk the talk and lead by example. His hard work and dedication forces you to raise your standards and when you are too tired to see this, he inspires you directly with daily and positive encouragement to stay the course and keep on keeping on. He reminds you of that ever so important WHY!! The WHY that gets you out of the bed at 5am to bike in the rain for endless hours. See, he to has that WHY and thats what drives his dedication, to better his craft, to learn more so he can do more and most importantly, give more. “On the day, my Ironman debut didn’t go quite as I had planned. A non-wetsuit swim left me nervous in the water and I didn’t do myself justice finishing 8 minutes over the cut off time and subsequently disqualified. I was devastated as I had completed the swim in 1hr 30 just two weeks prior. I couldn’t believe that my fitness wasn’t tested but after a week of depression I met up with Steven and we are planning another attempt at the distance. “Steven has been coaching me this year and I’ve had a great season – completing the NS for the first time in 4 years, injury free. 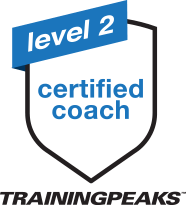 My performance has improved and he has delivered a quality personalised training and recovery program that allows me to maintain a healthy work, life AND training balance.